We are thrilled to announce our latest investment in real-estate tech pioneer Adfenix. 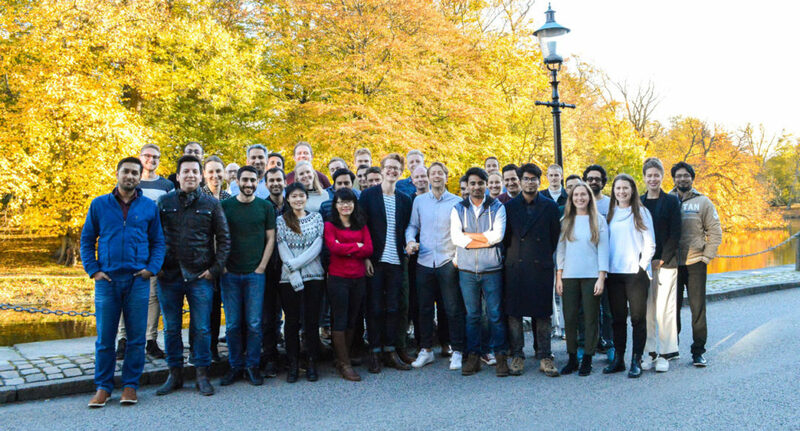 Together with Notion Capital, we are co-leading the $6 million Series A round. Starbright Invest and Goodfellows also participated in the round. The financing will fuel continued innovation and acceleration of Adfenix’s cloud-based customer services offering to real-estate agencies across Europe, and entrance into the US market during 2018. Founded on a vision that today’s real-estate market is highly inefficient and that customers should expect a significantly better experience when buying or selling a home, Adfenix today services 85+ real estate agents globally. Leaders including RE/MAX, Sotheby’s, Harcourts are using the Adfenix B2B cloud platform to automatically reach significantly more potential home buyers, increase viewings, maximise end price and ultimately empower their agents to shorten sales cycles and sell more homes with less manual effort. – The real estate industry is ripe for disruption: massive, broken, yet clearly defined. We believe Adfenix has the opportunity to up-end this industry with its platform offering, and catch massive value in the meantime. The team’s achievements so far in terms of growth is very impressive – also taking into account they bootstrapped up until now. Together with an excellent international investor syndicate, we are very excited to help build the global suite for the real estate industry, says John Sjölander, Industrifonden investment lead. The global real estate industry presents a massive market, being worth more than $217 trillion. While digital transformation has already disrupted many sectors, the real estate industry has been very slow to move with the times – until now. As a result, agents are now open to using tech platforms to reach and grow their relationship with buyers and sellers. The market for value-added services within property tech is growing fast, enabled by megatrends including AI, big data and social marketing. – We are equipping real estate agents and their clients with the power to sell and buy homes easier and quicker. I believe that the real estate agents of tomorrow are all going to be tech-enabled, and we want to help both traditional agencies to make this leap as well as boosting the new class of hybrid online agencies with their value proposition, says Gabriel Kamienny, co-founder of Adfenix. – We have had the great pleasure of having many awesome people joining our force lately, and this is a key reason for our success. We are delighted to have Notion Capital, Industrifonden, Starbright and Goodfellows as investors as we continue our quest to help the worlds’ estate agents reinvent themselves, Gabriel adds.